Brazil in less than a year to host the best soccer players of the world, and although not yet known to all participants Championship, has already started to create great euphoria. 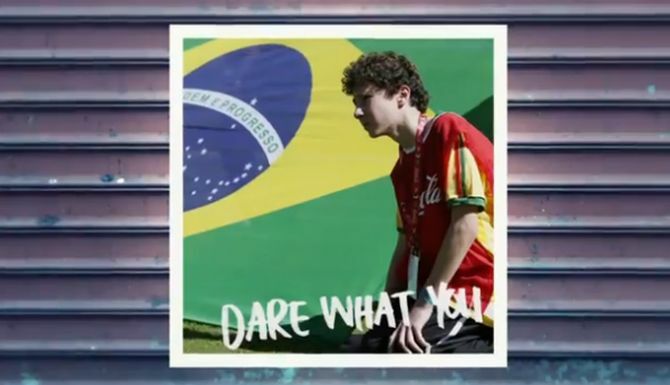 One of the biggest worldwide brands, the company "Coca-Cola," announced first unofficial anthem of the World Cup called "The world is ours." Hymn performed by singer David Correy and Brazilian percussionists group "monobloc". Will the "Coca-Cola" choice for anthem outshine Shakira's "Waka Waka", which was declared the best melody in South Africa?